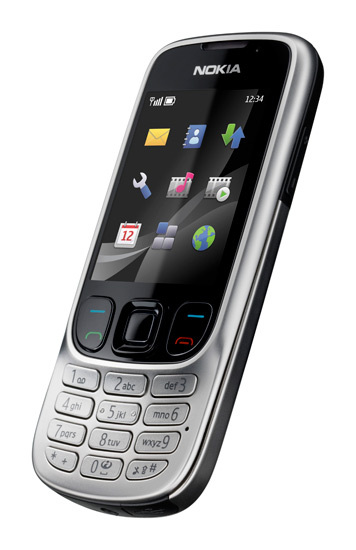 I have had a Nokia 6303, described as “no-nonsense easy-to-use handset” for about 3 years now. I have looked at upgrading to a Blackberry, iPhone, or high-end HTC but I’ve never found a good enough reason to switch to something that costs three or four times as much as this reliable classic. I’m quite sure that some people who think they need a top gadget to do what they want to do don’t realise the potential of these Java enabled handsets running on Symbian 40. It’s cheap to replace and free on a lot of low monthly tariffs. It’s frightfully robust. I have dropped it on hard floors and in wet grass countless times. The battery life is exceptional. I charge it once a week, which is usually more of a top-up than a full charge. Although I use it only occasionally for longer conversations, I use it constantly for browsing and for twitter, texting and email. GPRS coverage (although a lot slower than 3G, of course) seems to be available absolutely everywhere in the British Isles. There are a huge range of Java apps out there for any purpose and they are generally very reliable. Memory card slot gives me more storage than I need for music on the go. With the slowness of GPRS you need a light and lean browser that is perfectly adapted for a smaller screen. Of all the ones I have tried, Opera wins by a long way. It is very customisable, you can specify the quality of images or eliminate them altogether for faster browsing. Tabbed browsing is supported, too, and works well. Bookmarks can be synchronised online with an Opera account on other machines and it has a built in feed reader – sweet! Snaptu has an iPhone like menu of icons and a number of its own internal apps. I use it all the time for Twitter as it handles lists and multiple accounts very smoothly. It’s great for Facebook, too (although I’m not on there any more). Multiple useful tools within Snaptu also include several feed and news readers, a weather app which can be set for multiple locations, and a neat little Google Calendar interface. Synchronises the internal calendar with an online Google Calendar. Task management: Mobile Task Manager. This little gem by Tommi Laukkanen has become the final answer to my list-making habit. A lightweight and simple app that manages any number of lists embedded (if you want) to three or four levels. I have my daily to-do list on here as well as shopping lists, gig set lists, project planning outlines e.t.c. It is elegant and unfussy and does the job very nicely thank you. GPS: Mobile Trail Explorer (MTE). Again, although these phones don’t have built in GPS, they will connect to a bluetooth GPS unit (of which there are many to choose from) like the BN901S. Mine cost £16 on eBay and I keep it in the car. Mobile Trail Explorer is a fully featured and very flexible GPS tracker once again by the brilliant Tommi Laukkanen. It uses OSM or Google Maps if you need them, caches maps to save data calls, allows you to record and save KML files and various other waypoints systems as well as having a navigation function. QR Code Reader: Bee Tag. Using the phone’s built in camera to read QR codes. Seems to work 90% of the time and is certainly adequate to the job although it struggles with tiny codes, this may be more a limitation imposed by the 3.5 megapixel camera. Thanks to the adjustable smooth scrolling screen, I use WattPad to plough through classics that are free to download (in the public domain). Perfect for reading after lights-out. Most of the contents of Project Gutenberg are available, no shortage of good stuff. Most people I know with Android use this but, the marvelously handy YouVersion is available for Java, too. Unfortunately it doesn’t cache so can be a bit slow sometimes, but there are a wealth of translations to use. In addition, for email, most of these S40 phones have their own email reader embedded with the texting and messaging menus and they can be set up to synchronise with any POP and SMTP accounts for sending and receiving. Synchronisation can be scheduled or on-demand. So … er … yep – I don’t see why I should bother putting up with the sort of trouble (and expense) that smartphones have been giving people lately.